Start e-commerce on your website. Free and open-source software development kit written in PHP and distributed under the MIT License. IPSP PHP SDK is a wrapper of Fondy payment protocol REST API and covers e-commerce for businesses of all types and support popular CMS modules for fast integration in existing software architecture. Payment Service Providers partner with Acquiring Banks to offer Merchants the capability to accept payments. 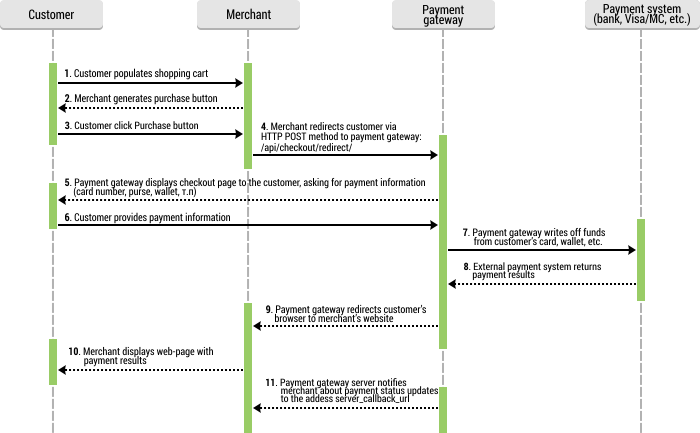 Payment Service Providers often offer services in addition to processing transactions. These services include Payment Card Industry and Data Security Standard (PCI) compliance, fraud protection and the ability to process different currencies and translate different languages. How make a quick checkout URL for a specific product? 1. Install kosatyi/ipsp-php module throw composer package manager. The payments industry is undergoing a revolution in which mobility and other innovations in technology are constantly driving change.